C.R. or ‘Rajaji’ was close to Gandhi. A stalwart, who imbibed Gandhi’s ideology and practiced it privately & publicly. 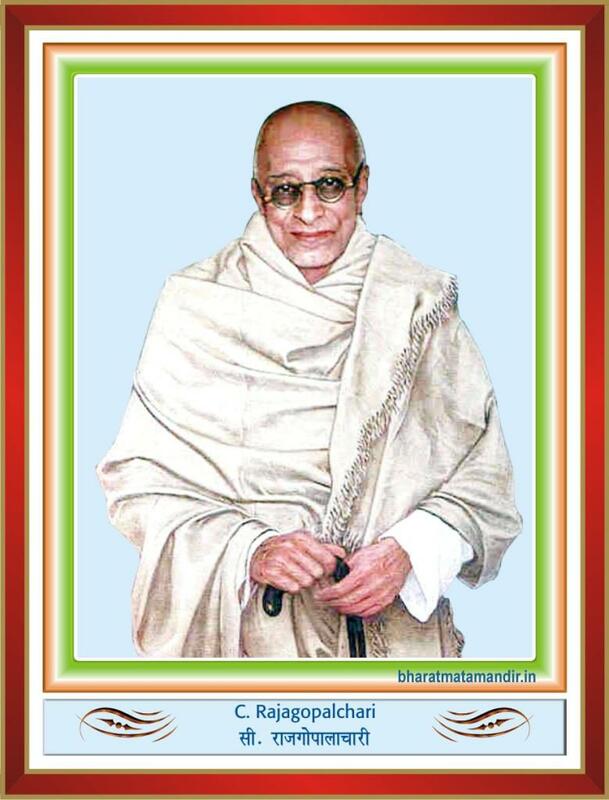 Rajaji was born in Thorapalli village of Salem District, Tamilnadu on 10th of December 1878. In 1906 he attended Indian National Congress at Surat. He actively supported Lokamanya Tilak. By 1918, the rift between moderates (Gokhale group) and extremists (Tilak group) was conspicuous. Rajaji had leaning for the latter. He worked for Tilak and Dr. Annie Besant. Rajaji had met Gandhiji on earlier occasions, and soon became a member of his inner circle. He was one of the first to court arrest as ‘Satyagrahi’. Next quarter of a century he suffered jail-term, five times. He toured the entire country for the propagation of Gandhiji’s constructive programs. He established an ashram in the famine-stricken village of Pudupalayam in Salem district and started Swadeshi movement. The Dandi March had a replica in the south led by Rajaji. The march from Tiruchi to Vedaranyam was an eye -opener to British Government. Village after village welcomed the Satyagrahis. He opened the famous Meenakshi Temple of Madurai to Harijans. He rescued farmers from the clutches of the land-lords by bringing in Agriculturists ‘Debt Relief Act. Sales tax, an innovation in revenue collection in India was introduced by Rajaji. Quit India movement was declared and Rajaji resigned only to be arrested. He was released only after the second World War was over. India became free. He became the first Indian Governor General after Lord Mount Batten in 1948. Rajaji was a visionary. He was against the formation of linguistic states. He recommended manageable administrative zones. He thought that for a country of multilingual existence, English was the remedy. He was also against the ‘permit-license-quota-raj’ which taking roots. At the age of eighty-four, Rajaji undertook his only trip abroad, to plead with world statesmen to give up nuclear testing. He also met President Kennedy in this connection. Rajaji breathed his last on 25th December 1972 at the age of 94. Arjun Gupta, a social entrepreneur and trustee of Bharat Mata Foundation, to spread patriotism and to inculcate philanthropic activities for welfare of the society.